The Cigarette itself is rolled with black flavored paper. The cigarette features a cinnamon like flavor both in scent and taste, and the paper has a sweet taste. It is made with natural Indonesian tobacco, and is widely distributed throughout the world. Djarum Black Clove Cigarettes is internationally recognized for its blend of the finest tobaccos and cloves in unique black wrapping. 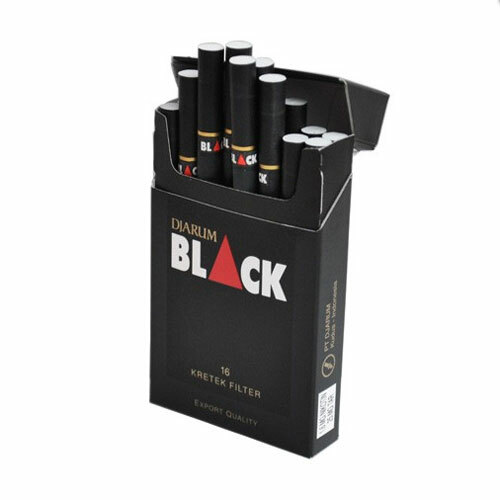 Djarum Black is made of the finest natural-grown cloves and tobacco with a spicy aromatic-taste. Sophistication, modernity and boldness, this black paper kretek is much-loved by kretek consumers. Let the confidence of Djarum Black bring you a distinctive smoking experience.